When it comes to the most bothersome tasks around the house, trying to repair a faulty garage door system is near the top of the list. Whether you are dealing with a garage door that won’t open or close properly, an off-track garage door, or a broken torsion spring, finding the right solution can often be a challenge if you do not possess the necessary knowledge, experience, and equipment. When your residential or commercial garage door stops working, it is best to let a professional garage door company help you get your garage door system back up and running the way it should be. Whatever your Martinsville garage door needs are, there’s not a better company for your door — and your wallet — than Garage Door Doctor. For many years, Garage Door Doctor has been diagnosing broken garage doors and broken garage door openers, making the necessary adjustments and repairs to bring them back to full health. With expertise on many makes and models of both commercial and residential garage door systems, our team can help you find the solutions you need. 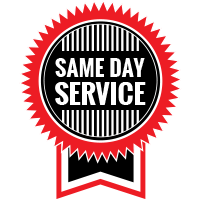 In addition to affordable garage door services, we offer same-day service and repairs as well as 24-hour emergency garage door repairs. Day or night, weekday or weekend, you can gain peace of mind in knowing that our garage door contractors will be there to help when you’re in need! Garage Door Doctor has built the reputation as one of the best garage door companies in Central Indiana. If you are ever in need of Martinsville garage door services, you can rely on our team to help ensure your garage door is in the best working condition. Residential garages are used for more than just vehicle storage, so you can imagine how frustrating it can be when your garage door system isn’t operating the way it should be. Whenever you are experiencing garage door problems, your skilled technicians can come out to your home to perform a garage door inspection and find the issue. To learn more about our range of residential garage door services, contact us! A powerful, reliable, and working commercial garage door plays an essential role in a business’s operations and efficiency. When they don’t work, however, it can turn into a very problematic situation. 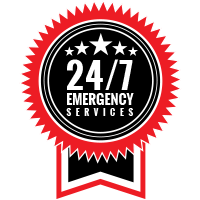 At Garage Door Doctor, we have years of experiencing helping business owners throughout the community with commercial garage door repair and installation services. To learn more about our commercial garage door services, contact us! A garage door system is complex, and when one thing goes wrong, it can affect everything! There a number of issues that can cause your door to stop working, but our team of experts will be able to identify the problem and get your door back to optimal condition. In need of a garage door replacement? Let our team ensure that your new garage door will last for years to come with professional garage door installation services. We offer installation of quality garage door systems from some of the leading manufacturers in the industry. Regular garage door maintenance is needed to ensure that your garage door is always in the best possible condition. Not to mention, regular maintenance will help your garage door system offer years of use and reliability. Garage door springs can be lethal when they break. When this happens, you’ll need to opt for garage door spring replacement services. Without working garage door springs, your garage door will likely work the way it is supposed to. Luckily, Garage Door Doctor offers reliable garage door spring repair services. Don’t let a broken garage door ruin your plans, contact Garage Door Doctor for emergency garage door services. Day or night, our garage door contractors will be there to offer the services and repairs you need to ensure your garage door is running the way it should.